Are you overwhelmed at the thought of tracking your Amazon sales? We have the solution! 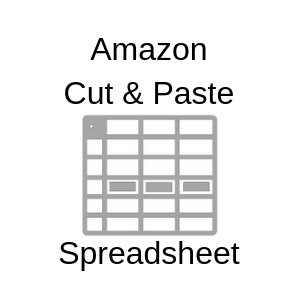 The Amazon Sales and Expense Spreadsheet is an easy to use, copy and paste spreadsheet that was created to match the columns on the Amazon Seller Central transaction page. All you have to do is cut and paste the entire row of transactions directly into this spreadsheet.